You might be wondering what that phrase means above in the sub-text. It’s interesting you ask as it was revealed in a brand new poster by Warner Bros for the upcoming film this November, ‘Justice League.’ There’s no denying that despite its approach the anticipation is pretty high for DC’s extended universe since its launch with solo film Wonder Woman proving that there’s still hope for more DC hero films in the future. Along with its highly anticipated San Deigo Comic-con panel, Warner Bros and DC Films the aforementioned “Wonder Woman” is set to pass Guardians of the Galaxy vol. 2 to become the summer’s highest grossing film at the domestic box office after its eighth consecutive Friday in theaters. This Saturday morning Warner Bros. has revealed a new “Justice League” poster ahead of its Hall H presentation at SDCC. The new poster is a brilliant rendition of comic books artist Alex Ross’ classic DC comic book covers. During the San Diego Comic-Con panel for Warner Bros., a brand new trailer gave the fans its first look at some brand new footage showing how you can’t save the world by yourself along with its villain revealing to officially be, Steppenwolf appearing on Paradise Island. J. K. Simmons as Commissioner Gordon, calls them together, asking, “How many of you are there?” to which Batman replies, “Not enough.” The end of the spot sees Jeremy Irons’ Alfred addressing a faceless figure, who will hopefully lend some help in the battle to save humanity. 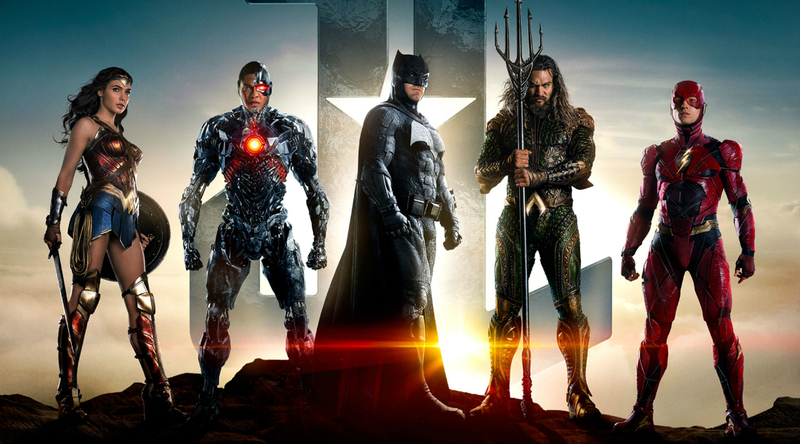 Directed by Zack Snyder, “Justice League” stars Ben Affleck as Batman, Gal Gadot as Wonder Woman, Henry Cavill as Superman, Jason Momoa as Aquaman, Ezra Miller as The Flash, Ray Fisher as Cyborg, Jesse Eisenberg as Lex Luthor, Jeremy Irons as Alfred, Amy Adams as Lois Lane, Amber Heard as Mera, J.K. Simmons as Jim Gordon and Kiersey Clemons as Iris West. Julian Lewis Jones and Willem Dafoe are also set to appear. “Justice League” hits theaters Nov. 17, 2017.